Someone asked, the other said yes, so now we're here. Let our music move you when you say "I do." Our team knows weddings. We are well-versed in timeline and etiquette, and we work well with all kinds of personalities. We are dedicated to making your day as stress-free and as joyful as possible for you and the people you love. 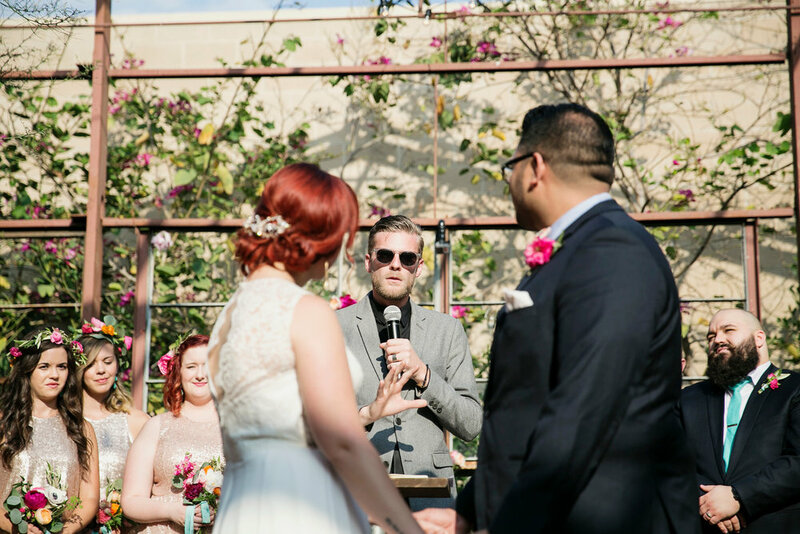 Our team has the ability to provide sound for outdoor + indoor ceremonies, cocktail hour, and reception, equipping wedding parties and live instrumentalists with the tools to sound their very best. We also have the ability to create a unique mix for your pre-ceremony music, should you choose pre-recorded music for your guests to enjoy at the start of your big day. Take a look below at some of our amazing clients! services provided: full sound production for CEREMONY, COCKTAIL HOUR, and RECEPTION | curated live dj mix + sound capability for LIVE VOCALs and INSTRUMENTs | disclaimer: we did not provide the ice cream truck, however, the ice cream was awesome and these two are darn cute. services provided: LIGHTING; full sound production IN TWO LOCATIONS for CEREMONY, COCKTAIL HOUR, and RECEPTION. curated live dj mix + sound capability for LIVE VOCALs and INSTRUMENTs. FUN FACT: DJEROCK PARTICIPATED IN A "THRILLER" FLASH MOB DURING THE RECEPTION OF THIS WESTSIDE WEDDING. THE 80s are alive and well + THIS COUPLE IS WAY TOO COOL FOR SCHOOL.